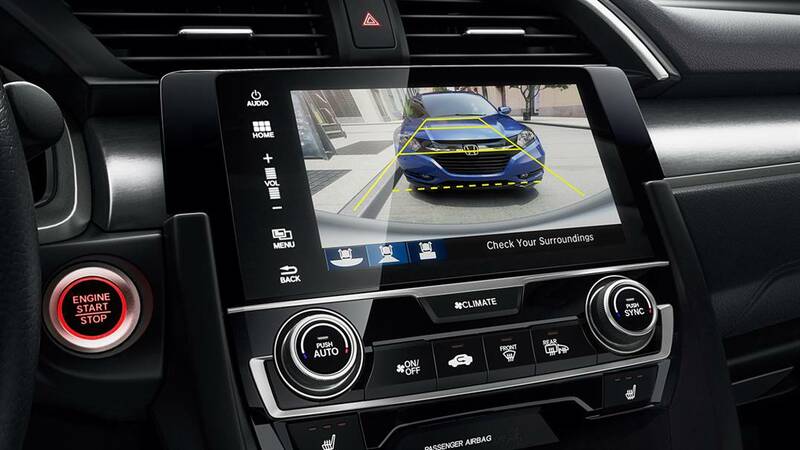 With America’s roads ever more crowded, safety has become a big deal for today’s consumers, and automakers have worked hard to answer the call for greater safety features in their vehicles. 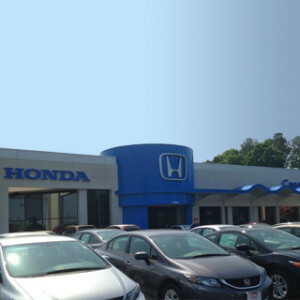 Technological advancements have made the latest automobiles safer than ever before, and two outstanding cars from Honda are prime examples of this. 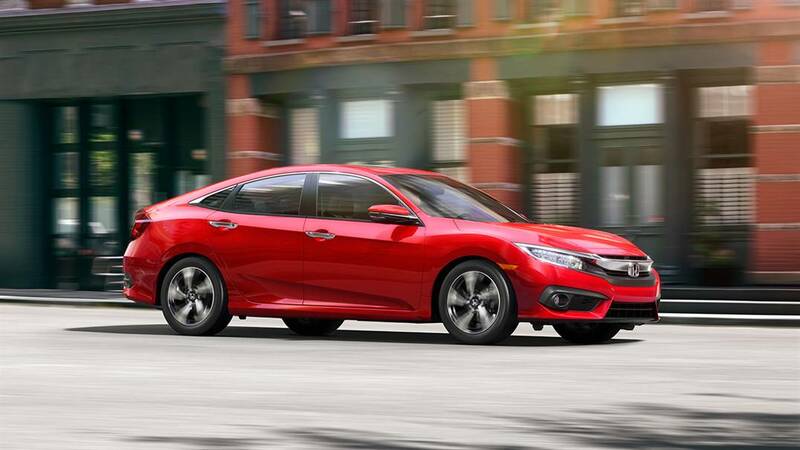 The award-winning 2016 Honda Civic and 2016 Honda Accord are unquestionably two of the safest sedans on the road today, earning some of the highest safety ratings in the industry and boasting an impressive lineup of the latest automotive safety amenities. Ready to learn more? Come along with us as we explore the safety merits of these two outstanding cars in detail. Safer driving is close at hand! The Honda Civic has received high acclaim during the 2016 model year, and it’s easy to see why. Designers and engineers truly put great thought and attention to detail into manufacturing the exceptional Civic, including the inclusion of its impressive array of safety features. Safety Offerings: The Civic’s lineup of cutting-edge safety features includes standard amenities like a multi-angle rearview camera, hill start assist control, vehicle stability assist with traction control, brake assist, LED daytime running lights, a tire pressure monitoring system, and SmartVent front side airbags. 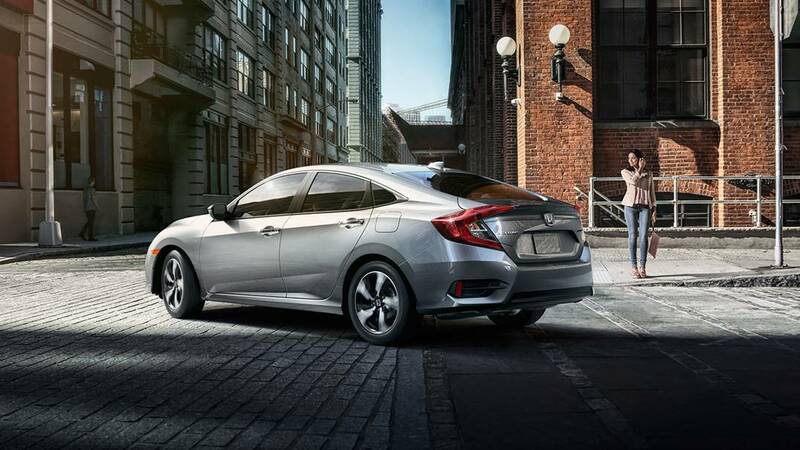 The Civic also goes high-tech with available driver-assist features that include a collision mitigation braking system, road departure mitigation system, forward collision warning, lane departure warning, a lane keeping assist system, adaptive cruise control with low-speed follow, and Honda LaneWatch, which comes standard in all but the base trim. 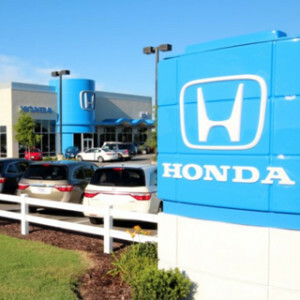 Industry Ratings: For its exceptional performance in crash tests, the Honda Civic has been honored with a 5-Star Safety Rating from the National Highway Traffic Safety Administration* and a 2016 Top Safety Pick+ designation from the Insurance Institute for Highway Safety**—the highest ratings a vehicle can earn from these organizations. The Honda Accord has been a contender in the automotive marketplace for four decades—and the reasons this amazing car has stayed around for so long are plentiful. This outstanding vehicle is one of Honda’s most popular nameplates. Among its many praiseworthy assets, the Accord brings a lineup of exceptional safety features to the road to help protect drivers and passengers, wherever they’re headed. Safety Offerings: Standard safety amenities onboard the Accord include features like a multi-angle rearview camera with dynamic guidelines, SmartVent front side airbags, brake assist, vehicle stability assist with traction control, a tire pressure monitoring system, and daytime running lights. Some of the industry’s latest, most technologically advanced protective features are available for the Accord, including a collision mitigation braking system, forward collision warning, road departure mitigation system, lane keeping assist system, lane departure warning, adaptive cruise control, and Honda LaneWatch. 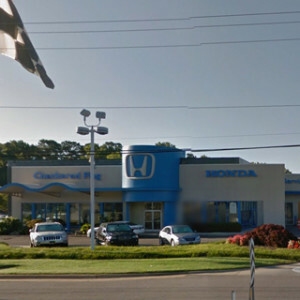 Consumers can check out the award-winning, highly rated 2016 Honda Civic and 2016 Honda Accord in person at any Hampton Roads Honda Dealers location. 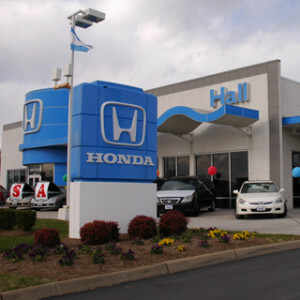 Stop by and see us at any of our affiliated locations or contact us today to learn more about these popular Honda vehicles. 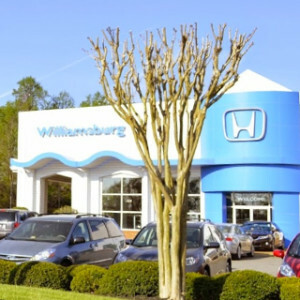 A friendly, knowledgeable member of our Hampton Roads Honda team will be glad to assist you, go over the options and features for each car, answer any questions you may have, and then get you out on the road for a test drive, where you can experience some of the amazing safety features onboard these models for yourself. 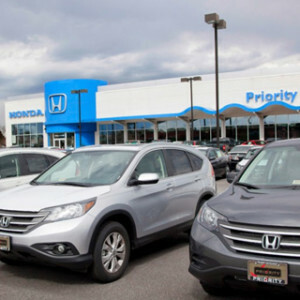 *Safety matters most, and the 2016 CR-V, Accord, Fit, Odyssey, HR-V, and Pilot earned top marks with a 5-Star Overall Vehicle Score from the National Highway Traffic Safety Administration (NHTSA). Government 5-Star Safety Ratings are part of the U.S. Department of Transportation’s New Car Assessment Program (www.safercar.gov). Model tested with standard side airbags (SAB). ***The 2016 Honda Civic is the 2016 North American Car of the Year. ****The 2016 Honda Civic Sedan was awarded Car of the Year by Auto Guide. For more information, visit AutoGuide.com. 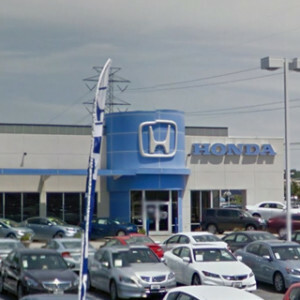 AutoGuide.com is a registered trademark of Verticalscope Inc.
*****The 2016 Accord, Civic, CR-V, HR-V, Pilot, and Odyssey have been named to the list of 16 Best Family Cars of 2016 by Kelley Blue Book’s KBB.com. Each vehicle was praised for impressive comfort, driving dynamics and family practicality. For more information, visit www.kbb.com. 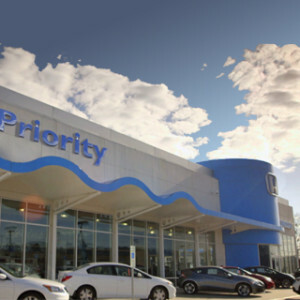 Kelley Blue Book is a registered trademark of Kelley Blue Book Co., Inc.
******We’re proud to announce that the 2016 Honda Civic is the Overall Best Buy according to Kelley Blue Book’s KBB.com. For more information, visit Kelley Blue Book’s KBB.com. Kelley Blue Book is a registered trademark of Kelley Blue Book Co., Inc.
*******The Accord has just been named one of Car and Driver’s 10Best for the 30th time, giving it more appearances on the list than any other car in the magazine’s history. As our signature vehicle, the 2016 Accord upholds a legacy we started in 1976. With further design refinements and even more efficient performance, it’s our best Accord ever. Again.